The transportation business needs no introduction as one of the businesses that have long remained profitable. Whether you’re starting it on a small or large scale, you can assure yourself of reasonable success in the business of transportation. In every part where there is human habitation, transportation is needed to convey people and goods from one place to another. Owing to this reason, it’s obvious that anyone can start a transportation business and make a substantial profit. 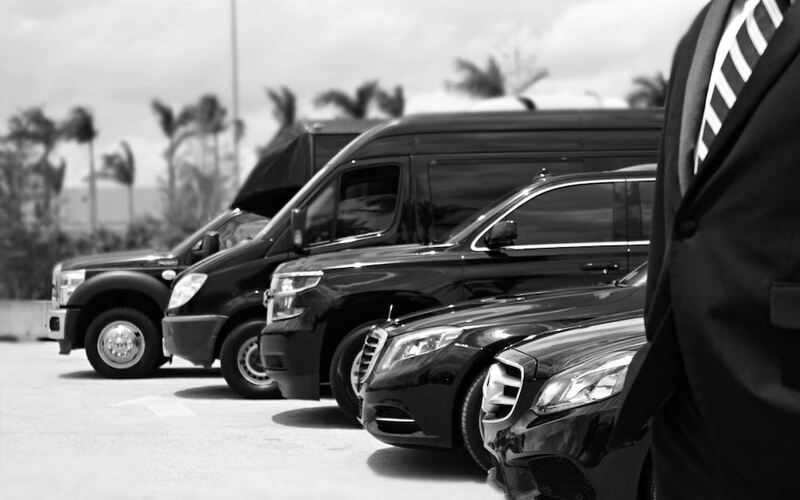 Starting a transportation business is quite easy provided you have adequate capital coupled with the understanding of how professional transportation is done in your neighborhood. If you’re thinking about starting a transportation business anytime soon, be rest assured that this article will give you insights and also tips on how to market your transportation business. The business of transportation is a big industry as there are a significant number of transportation services offered by transporters. ⇒ Livestock Transportation: This entails helping people –such as private clients and food service providers –to convey their livestock. ⇒ Moving Van Service: Some people are planning to change their residence and they might need somebody to help them move their belongings. If you have a moving van, you can get paid for helping people transport their belongings to a new location. ⇒ Senior Transportation: This business involves the conveyance of senior citizens who do not have the ability or strength to drive by themselves. ⇒ Limousine Service: The ostentatious design of several vehicles, such as limousines, usually attracts people to them. Sometimes, couples prefer to hire limousines to pick them up and drop them off for their wedding ceremonies. ⇒ Cab Service: Considered as one of the most popular types of the transportation business. Cab service has gained ground in cities where many people –including public workers –usually demand the transportation services of cab drivers. If you have several cars, you could register them for Uber riding services and hire a couple of private drivers. ⇒ Courier Service: There are companies and individuals who need quick delivery of their packages, parcels, and small items. If you’re in for this type of transportation business, you’re very likely to make chunks of dollars regularly. ⇒ Trucking: This transportation business involves using trucks to convey sizeable materials, goods, supplies, etc. from one location to another. It’s very lucrative since companies (and even individuals) may need trucks to transport their enormous goods and other items. ⇒ Food Trucks: Anywhere in the world, this happens to be a very lucrative transportation business since humans must eat to survive. Put simply, you can have a few trucks meant for the delivery of foods. The first step you may have to take while starting a transportation business is the estimation of start-up finances. Provided you don’t have a vehicle already, you’ll have to estimate the cost of buying or hiring a vehicle. If you won’t be driving the vehicle, you’ll also have to estimate the cost of hiring a driver. Like any other business, a business plan will serve as a map for guidance and an essential component of your fundraising efforts. Your business name, the kind of business you are starting, and its location should be incorporated in the business plan. The business name should be original and registered with the appropriate licensing body in your state. Defined business goals and objectives. Your services and how you will deliver. A description of your finances. Materials and requirements including the cost of purchase. A description of your running costs, down to labor costs and maintenance. Don’t be so hard on yourself while drawing your business plan. Remember that it is a working document that can change over time. Once you’ve estimated your start-up expenses and obtained sufficient funds to cover them, the next step is to buy or hire the vehicle suitable for your type of transportation business. If you can’t afford to buy the suitable vehicle, it’s advisable that you hire it and when your business yields substantial profit afterward, you can then acquire full ownership of the vehicle. Getting a license is one of the prerequisites for starting a transportation business and importantly, your type of transportation business determines the license you’re required to obtain. Contract carriages permit, good carriages permit, stage carriages permit and casual contact carriages permit are the 4 types of permits you may have to obtain depending on your type of transportation business and how you wish to run it. Insurance is very important for a transportation business and if you want maximum protection, it’s advisable you request for the all-inclusive insurance that will cover your vehicle and the goods you carry. Interestingly, this type of insurance coverage ensures that neither you nor your clients bear any loss when damage occurs. Running a growing transportation business is demanding and you will need to hire one or two people including a few professional drivers depending on the number of vehicles you would be starting with. In the process of hiring, you might want to involve a legal practitioner to ensure that you hire in accordance with the laws of your jurisdiction. Most states insist that you are non-discriminatory and that you establish equal hiring practices. Once you have fulfilled all the necessary start-up conditions and finally established your transportation business, the next thing is to market it and attract a considerable number of customers. While word-of-mouth advertising, as well as the use of fliers, handbills, etc., is a great idea, you can also use vinyl stickers in promoting your transportation business. Importantly, the vinyl stickers should appear on the body of your business vehicle and should contain your contact details as well as other relevant business information. One of the best ways to market your transportation business is to give it an online presence. Your business is likely to attract dozens of customers provided people can read about it online. Therefore, having a blog/website coupled with some social media presence can boost your online marketing campaign. Like many other businesses, the transportation comes with pros and cons and if you’ll be starting up the business, it’s important you familiarize yourself with these. By weighing the pros and cons of the transportation business, you should be able to decide if the business is a perfect match for you. While there are a few cons associated with it, transportation is still one of the businesses with the potential of thriving anywhere in the world. Provided you have all it takes to handle the cons of the transportation business, you can tap into the business and make it a stream of residual wealth.